A reincarnation of HH Prachotana Parabrahma of kruthayuga(10,600 years ago), HH JYOTHIRMAYA PRABHU descended on earth on 18-12-1926 with a divine mission of reestablishing ‘Krutha yuga’ dhrama, which is also known as “DRAVIDA DHARMA”, the first divine order of mainkind. HH Jyothirmaya prabhu in his lifespan of 85 years (1926-2011), about 40 years he was in deep penance (samadhi), grasped the divine vibrations, translated them into human language titled as “DIVYAGRANDHAM” - Kruthayuga dharma. ‘Divyagrandham’, a knowledge pot of nectar which comprises the creation of the entire universe for the first time, civilized structure for the creation, secret of death, administration in ancient times, medical and education styles, morals, health secrets, election scheming, food, devotion aspects, charitable atmosphere into society and lot more were explained in this “Divyagrandham”. In a nutshell, this is the only book for universal peace, which can be described the “Beginning and the end”, which is beyond imagination of creation, control & co-ordination, and some astonishing stage beyond creation and disaster, which can only be experienced by ‘the eternal’. HH Jyothirmaya prabhu emphasized the worship of supreme light (DIVYA JYOTHI) through an eternal prayes called Aikyaradhana(United Prayer) and also “GUNA RAAGA” - DIVYA VANI to the mankind. If practiced regularly, HH assured DIVINE BLISS and salvation. His holiness reveals tolerance of religions among world community is the need of the hour for integrity, and it is his ambition to lit the light of peace in the hearts of entire mankind. If so, there can be one religion with Humanity, Kindness, Beautiful nature with Love, Truth, Unity and Friendship. This is an universal religion. “DIVYA GRANDHAM” - The only divine book of universal peace, although the printed books can be obtained from the Trust Asharam, those interested to read this unique book, we have given the facility for “FREE DOWNLOADING” from the “BOOKS GALLERY” - along with our other e-books publications. “DONATIONS” - To enable us to continue for providing medical, & educational assistance to the needy people apart from supporting & providing food and clothing to the poor people, we request yours generous donations to our humble cause of construction of the huge unique temple of HH ‘JYOTHIRMAYA’ at ‘AMARAPURI’ as a capital to universal spirituality. 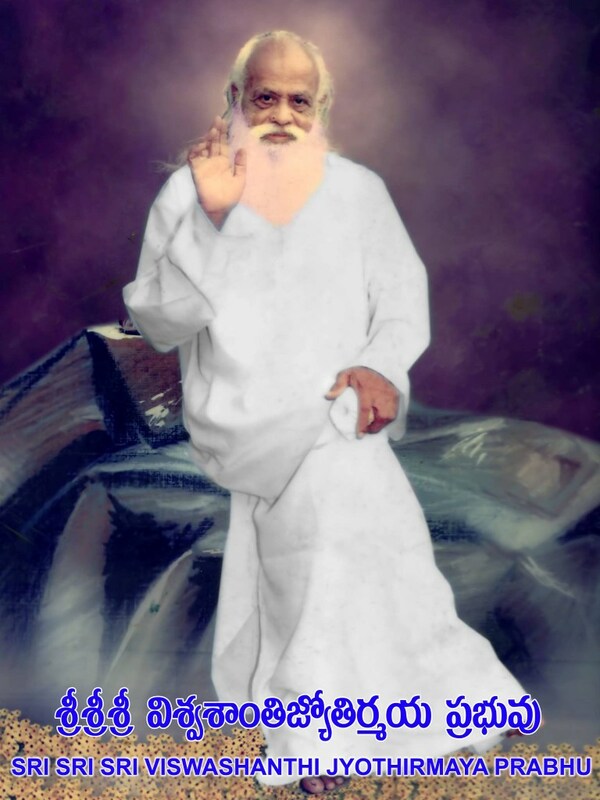 Brief history of Jyothirbaba & DONATIONS CLICK HERE…….